The MINIM STORAGE collection enhances the workplace by rounding out the office's most fundamental storage and filing needs while retaining a minimalist appeal. The collection offers a rolling pedestal, low stationary pedestal, low cabinet, double low cabinet, overhead storage, and integratabtle desk extension units. 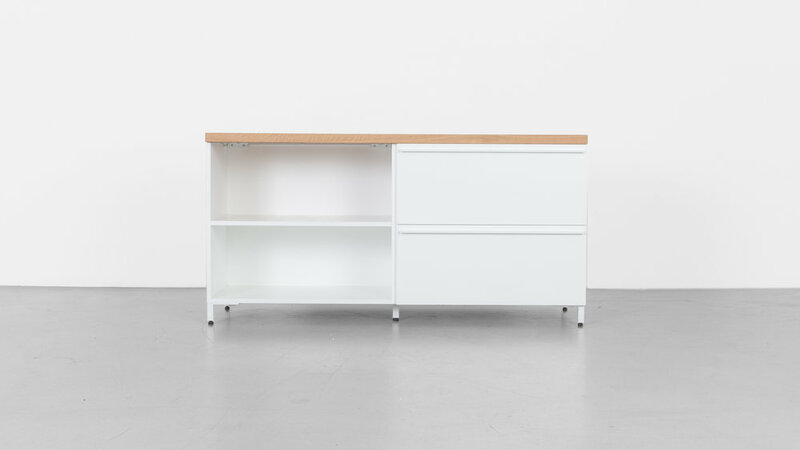 Each unit if offered in a variety of drawer configurations and finish options to suit your office aesthetic.